Are you required to take the contractors license examination? 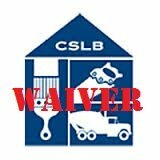 Or can you apply for a contractors license CSLB waiver? Below are the guidelines regarding the contractors license examination waiver process. 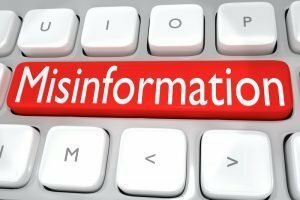 If you do not currently or have not previously served as a qualifying individual for the same classification being applied for, or within the past five years have not passed the law and/or trade examinations, you will be required to take and pass the Examination for licensure. If you currently serve, or within the past five years have served, as a qualifying individual for the same classification being applied for on a license in good standing, or within the past five years have passed the law and trade examinations for licensure, as outlined in Business and Professions Code section 7065, No Examination will be required. Waiver provisions for the examination are outlined in Business and Professions B&P Code section 7065.1 and 7065.2. You must meet all of the conditions of the appropriate section for the Waiver Provision to apply. In some cases, only the trade exam may be waived. Currently, waiver provisions defined in B&P Code section 7065.1 may be granted under subsections 7065.1b and 7065.1c. While 7065.1a also provides for waiver of the exam, the Registrar exercised his authority to suspend waivers under this section. There are many intricacies when it comes to a contractors license examination waiver. Let me help you sift through the red tape to find out if you qualify for an examination waiver.